Service activities (sold to Charles River on 1 April 2014) for the year 2014 are shown on the line item “Net income from discontinued operations”. All other line items consist of amounts from continuing operations, except for line item “Net income / loss (–)”, which includes both continuing and discontinued operations. 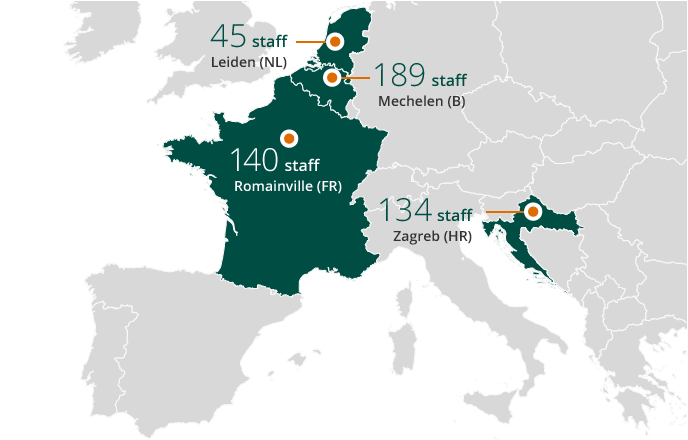 1 Total Galapagos R&D (Mechelen, Leiden, Romainville), including external consultants. Total head count Galapagos group (Galapagos R&D and Fidelta) including external consultants amounts to 508.